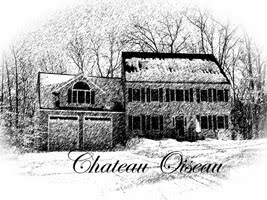 Chateau Oiseau: Marquette is tricky...or at least mine is! Marquette is tricky...or at least mine is! With harvest numbers around 23 brix and a pH of 3.3 on my Marquette, I was worried about the fruit not being ripe enough. Well, after fermentation and MLF with VP41, my post-ferment pH rose to an astonishing 3.8! Unfortunately, I neglected to measure the pH between the alcoholic fermentation and the MLF. So either a lot of potassium came out of the skins during primary fermentation or there's a ton of malic acid in the grapes that turned into lactic during MLF. Either way, this is the second year that I have seen such a substantial rise in the pH during vinification with my Marquette. (Never seen this with other varieties). I ended up having to add some tartaric acid to allow the wine to be stabilized with a reasonable dose of meta. I brought it down to 3.7 (any lower and the tartaric really impacts flavor). Who would have thought that harvesting at a pH of 3.3 was too ripe? I have asked my friend David Neilson, winemaker and owner of Coastal Vineyards about this issue and he has never seen this in his Marquette. Anyone got any ideas? So right now I have 17 gallons of wine, my first decent batch of Marquette. Half is in my barrel and the other half in glass. I'll swap them out after 3 months in oak. (My small barrel over-oaks a wine easily if you aren't careful). So far, taste testing shows that my Marquette is pretty low on tannins, a lot like Pinot Noir. This is definitely not a Cab or Zin-like wine. It has good color, and a cherry-like aroma. I'm concerned about the pH though, the taste is a little flabby and bland. Hoping it comes around a little in barrel.